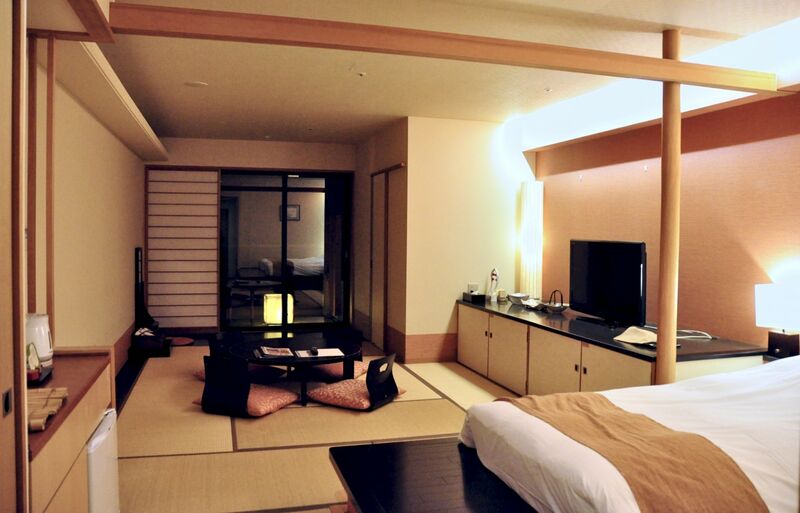 Toki no Yu Setsugetsuka (季の湯 雪月花) is a luxury ryokan in Hakone, Tokyo's favorite hot spring (onsen) retreat. 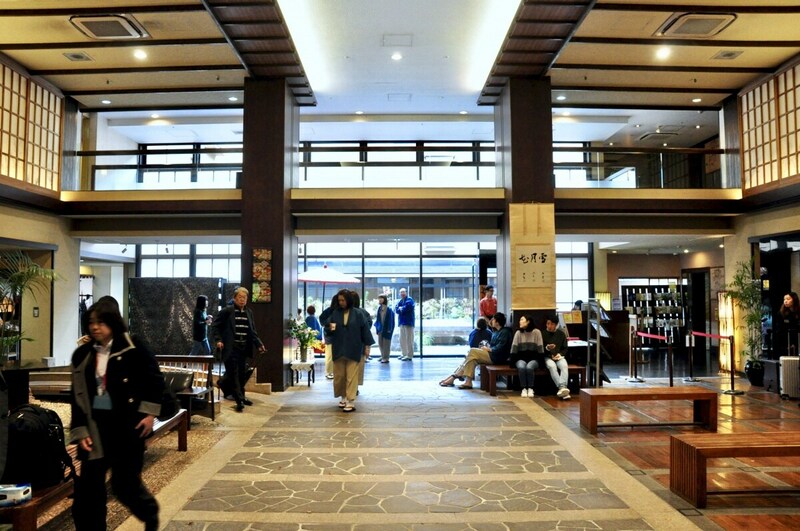 This Japanese-style inn is located a 2-minute walk south of Gora Station, where the Hakone Tozan Line ends and the Hakone Tozan Cable Car begins. Right from the grand entranceway with its little faux-stone bridge to the gift shop, you can tell this ryokan is a little different: rather than a quiet, reposed retreat, here you'll find people bustling about in groups, excited to head out to dinner or their next bath. This is a big, popular, lively resort, where you can expect to see lines for dinner and breakfast on weekends. All of the inn's 158 rooms have private hot spring baths on the balcony made of Japanese cypress (hinoki). Fed from two different sources, the public baths include various indoor and outdoor tubs in addition to three private outdoor baths, while a separate carbonated spring can be found on the second floor of the sprawling complex. While the rooms have a more modern feel, the public facilities feature older baths with a lot of character: the octagonal "meditation bath" (瞑想の湯・Meiso no Yu), with its rough bottom and central stone, feels oddly satisfying, while it's fun to soak in one of the pot-like individual outdoor tubs set in the public area. The Gora area is a good base for exploring Hakone. Nearby you can find the Hakone Open-Air Museum, the Hakone Museum of Art, the Okada Museum of Art, and Hakone Kowakien Yunessun, a hot spring theme park known for its highly unusual water types. There's also direct access to the Little Prince Museum and the Glass Forest Museum, located about 10 minutes up Route 138 by bus.